The HydraFacial exfoliates & hydrates your skin! I think that's why HydraFacial treatments are so popular. But I guess I should define popular. Someone, somewhere gets a HydraFacial every 15 seconds. That's 2 million treatments last year - & MORE THAN THE NUMBER OF BOTOX TREATMENTS GIVEN IN THE U.S.A. IN 2017! Amazing! The HydraFacial is machine made by a company called Edge Systems. But there are other kinds of "water" facials too. And they all use high pressure fluids to exfoliate or hydrate your skin as part of an abrasion treatment. There's the HydroWand and the SilkPeel. They're different from the HydraFacial in that they combine microdermabrasion (the "sanding" method used to exfoliate your skin) with a simultaneous serum infusion. And even though both the HydroWand and the SilkPeel are sometimes called "hydrafacials," their biggest similarity with the HydraFacial by Edge Systems lies in their serum infusions. In this article, I'm going to be talking about the HydraFacial, M.D., made by Edge Systems. It's the one that exfoliates your skin using water - NOT microdermabrasion. How is the HydraFacial different from other facials? What does it treat? Hydrafacials use a vacuum tip and oxygenated, vitamin-infused water to clean and exfoliate dead skin cells, extract clogged pores, and infuse serums. They are gentler than microdermabrasion and can treat dry, dull skin, fine lines, wrinkles, and acne. The first serum, called Active 4, removes dead skin cells to reveal healthy skin. The next serum, a mixture of glycolic and salicylic acid, gives you the benefit of a peel without lots of peeling afterward. Next the vortex suction painlessly cleans out your pores using the HydraFacial brand Beta-HD serum. And finally, an antioxidant / peptide / hyaluronic acid serum called Antiox+ hydrates and protects your skin from sun and pollution. The hand piece and changeable tips give your provider control over the type of serum used and the flow - so he or she can tailor the treatment to your skin type. The HydraFacial treatment can be combined with lymphatic massage, chemical peels, skincare products, LED lights and abrasive tips when a more aggressive treatment is required. Is there anyone who should not have a HydraFacial? People with active acne or severe inflammatory acne. It shouldn't be used over open or draining areas of skin. People who are sick, have an autoimmune disease, or a history of problems with skin healing shouldn't get a HydraFacial. If you get cold sores, you should talk to your doctor about taking an antiviral before your treatment. This should prevent an outbreak. The HydraFacial shouldn't be used on unusual or unidentifiable skin growths / marks. People who are allergic to any of the ingredients in the solutions should not have a HydraFacial. The HydraFacial shouldn't be used in the eye area. Eyes should be protected during the treatment and a rinse should be available in case the products used get in your eyes. People who have been treated with isotretinoin (oral retinoic acid / Accutane) for severe acne within the last 12 months should not have a HydraFacial treatment. Most offices won't do any sort medical aesthetic treatment on pregnant or breastfeeding women. In general, medical aesthetic treatments are not tested on women during pregnancy and / or breastfeeding - and therefore they haven't been proven safe. Is there any downtime? What about side effects? For the vast majority of people, there's no downtime. However, some people do experience redness and their skin feels tight. This usually lasts for an hour or two; but if peel products are used, the redness can last longer. Very rarely, some people get redness that lasts about a day. Sometimes the skin around the eyes can become swollen. There's also a very low risk of scarring. The HydraFacial gets a 97% "Worth It" rating on RealSelf.com based on 94 ratings over the last 2 years. The manufacturer recommends a series of 6 - 10 treatments to improve fine lines, wrinkles, dark spots, acne and oily skin - and maintenance treatments every 2 - 8 weeks. Who is qualified to give me a treatment? You'll find some HydraFacial machines operated by aestheticians in day spas. But there are also machines in med spas, dermatology, and plastic surgery practices that are meant to be used by doctors and nurses. Offices with medical oversight use different tips and peel solutions - and can treat the deeper layers of your skin. The HydraFacial costs anywhere from $75 - $300 per treatment. The average treatment is $150 based on 81 reviews on RealSelf.com. Costs can be higher - or lower - depending on the qualifications of the person giving you the HydraFacial. (So a doctor will cost more than a medical aesthetician.) Prices also vary by where you live and where the clinic is located. Nice areas and high office rent often contribute to a higher treatment cost. Add-ons like microcurrent, LED light therapy, lymphatic drainage and massage will also increase your cost. How long does a treatment take? Can I have it done on my lunch break? How do I care for my skin after? Follow your provider's instructions and use the products they give you. Be sure to protect your skin from sun. Contact your provider if you see any skin color changes or signs of infection. How soon can I expect to see results? Where can I see before & after pictures? Edge Systems, the company that makes the HydraFacial machines, says many people see improvement after one treatment. They say the results last 5 - 7 days. Click this link to see the before and after pictures on the HydraFacial UK website. They are impressive! Does it work? Are there any clinical studies? Dr. Bruce M. Freedman, a plastic surgeon from Virginia, did some studies of the HydraFacial and Antiox 6 serum for Edge Systems. In the study, he analyzed the structural and clinical changes of skin treated with hydrodermabrasion. In 2009, he presented his results to the American Academy of Dermatology. The study was done on 10 women, aged 34 - 56, and skin types I (very light skin, often has red hair, burns easily) through IV (dark hair, olive skin, tans easily). The women got 6 treatments spaced every 7 - 10 days. 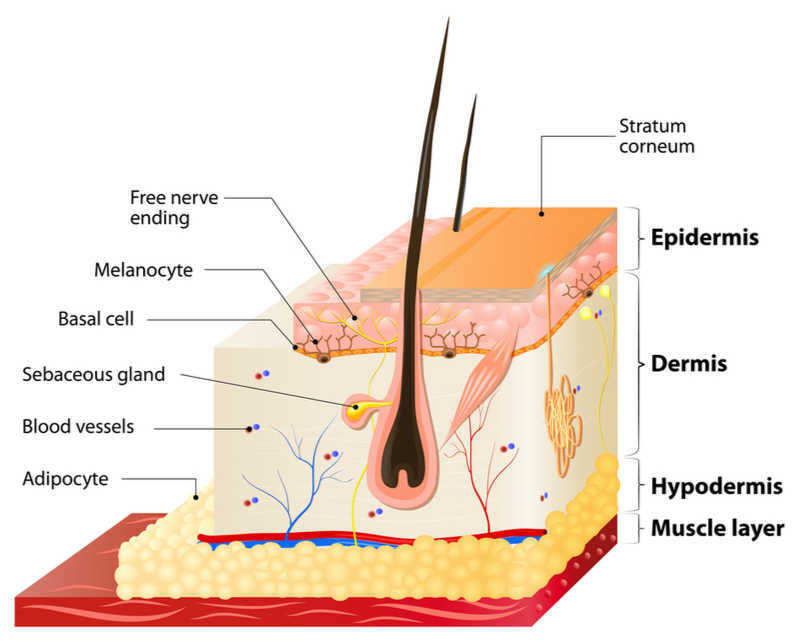 Results were measured by spectroscopy (uses color analysis to measure the reflectance of skin) and taking full thickness skin biopsies at the beginning of the study and 2 weeks after the last treatment. What were the study's results? Dr. Freedman wrote that hydradermabrasion effectively and safely improves skin quality. And he offers the HydraFacial in his practice, so he must believe in its benefits. What's the catch? There just has to be one. The study was small (30 would have been a better number of people) and only followed the women during the time they were receiving treatments and 2 weeks after. My point is that we can't see the long term effects of the treatment. "If we are to criticise this study in any way, it would be to note that a third group was not established who were treated with traditional microdermabrasion and topical antioxidant application, so as to establish the exact effect of the differing types of skin abrasion (wet versus dry) and the subsequent take up of the serums by the skin." The CollinsDictionary.com defines hyalinization as, "the process whereby tissue degenerates into a translucent glass-like substance, or the state of being hyaline." Sounds bad, huh? I couldn't find much information about it, but collagen hyalinization occurs in several diseases: systemic sclerosis (a rare connective tissue disorder), systemic vasculitis (inflammation of the blood vessel walls that leads to even more horribleness), lichen sclerosis (inflammation, itching, and white plaques in places you don't even want to think about!) and atrophoderma of Pasini and Pierini (dark or bluish depressions usually found on the back), to name a few. Honestly, I'm not sure what to tell you about the collagen hyalinization that that Dr. Freedman found. I can tell you that these same changes have been seen after microdermabrasion - but they aren't found consistently. My guess as to the reason why -- not all studies do skin biopsies (taking a sample of the full skin thickness to look for skin changes). The 2 studies I did see both found collagen hyalinization using this method of analysis. To give you a basis of comparison, CO2 skin resurfacing (using lasers) is widely used and known to change the orientation of the collagen in your skin. It's called denatured collagen when it lies horizontally (instead of perpendicular to the surface of your skin - as it occurs naturally). Some doctors won't use lasers because of this. Other doctors don't think it's a big deal. What matters is what YOU think. My best advice? If this is a treatment you're interested in, ask your doctor about HydraFacials and collagen hyalinization. Ask to see before and after pictures. Ask about any undesirable changes in the way skin looks. If you don't like the answers, either find another provider you trust - - or try micro-needling!